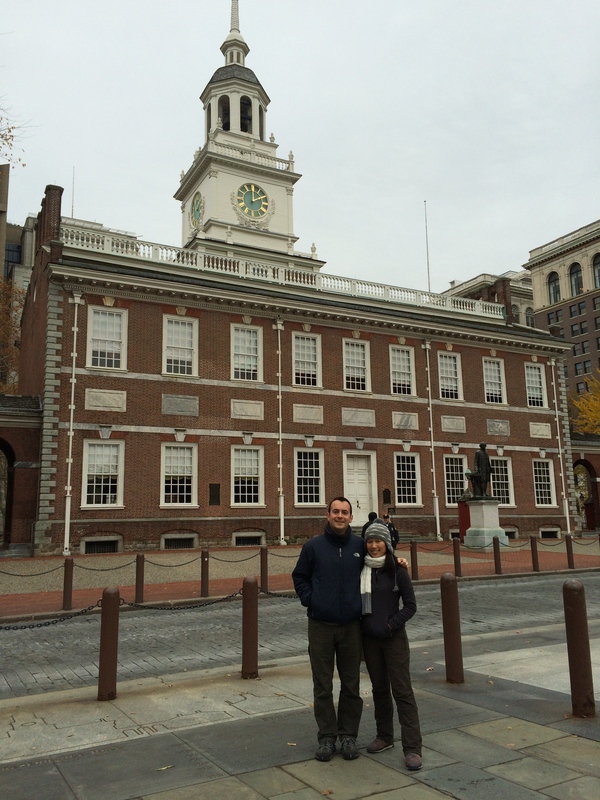 After embracing two consecutive weekends of fancy drinks, gourmet food, and beautiful sites in the big cities of Chicago and New York, we braced ourselves for a taste of historical America–Philadelphia, the capital of the U.S. from 1790-1800. Fortunately my uncle’s house in the outskirts of Philadelphia was our campground for the next two nights, rather than another sketchy freeway bridge. Not only was being conspicuous no longer a requirement, we had the luxury of eating homemade Vietnamese food everyday for breakfast and lunch. 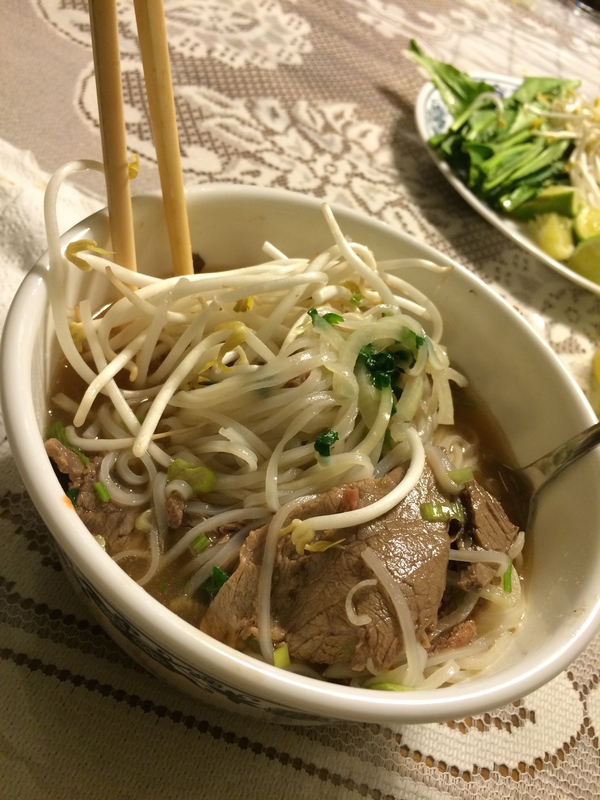 Yay, another perk of being Vietnamese-American! 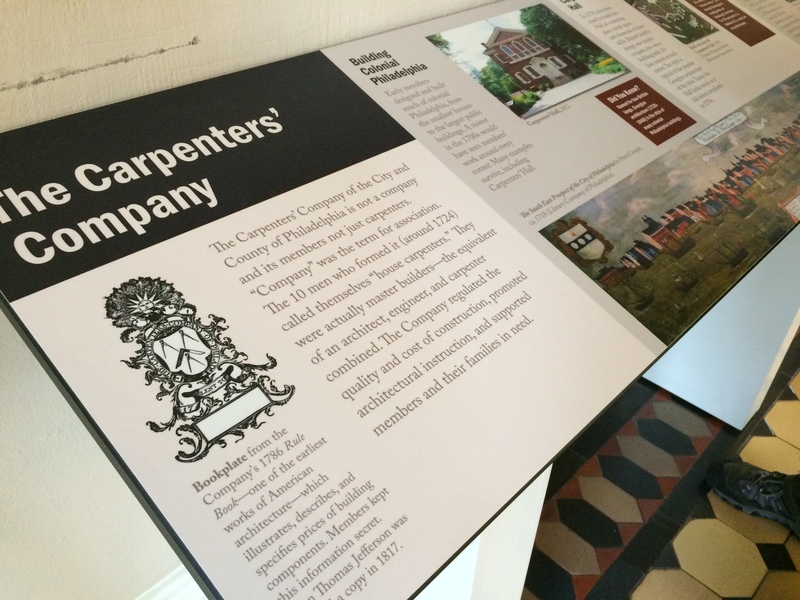 During our brief time in Philly, we visited a number of historical sites. 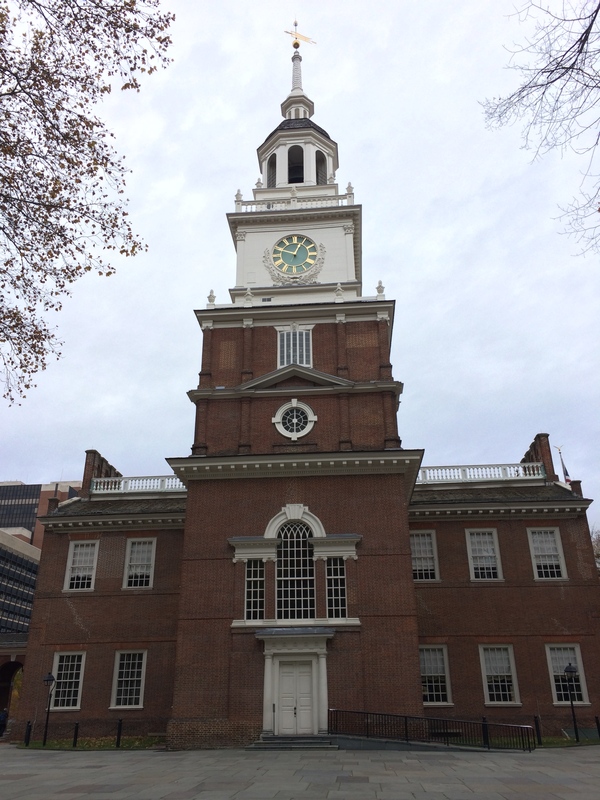 Having seen the Liberty Bell over a decade ago, I knew it wasn’t worth seeing so we skipped it. 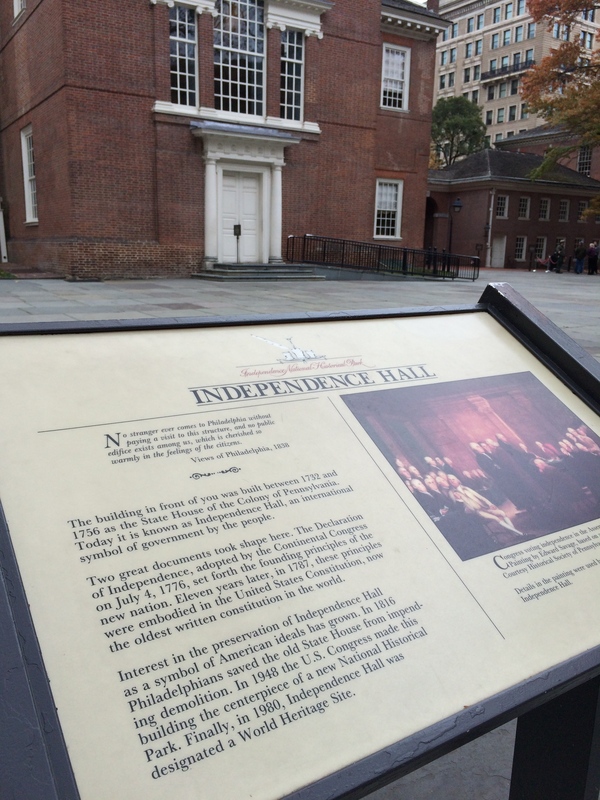 Our favorite activity was touring the inside of Independence Hall, the place where it all happened. Did you know this is the building pictured on the back of the $100 bill? 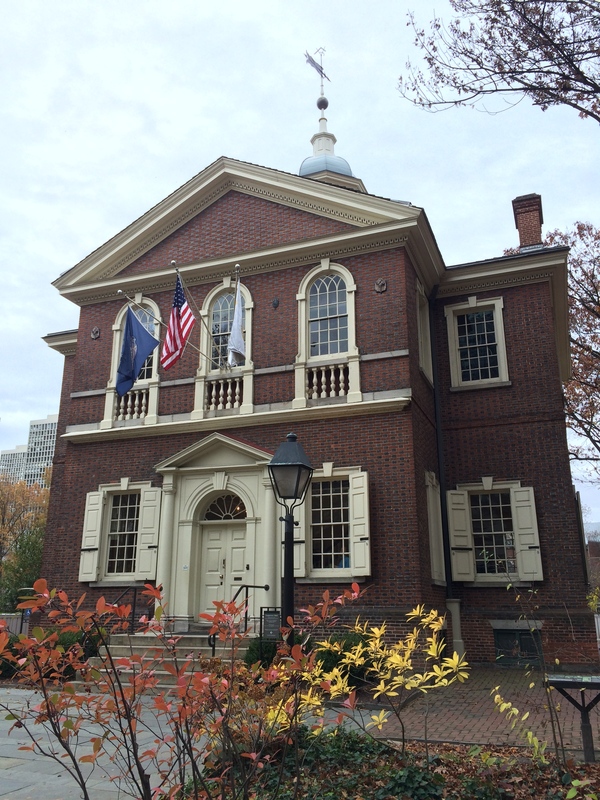 Second, the Assembly Room where the Constitution and Declaration of Independence was signed on July 4, 1776. 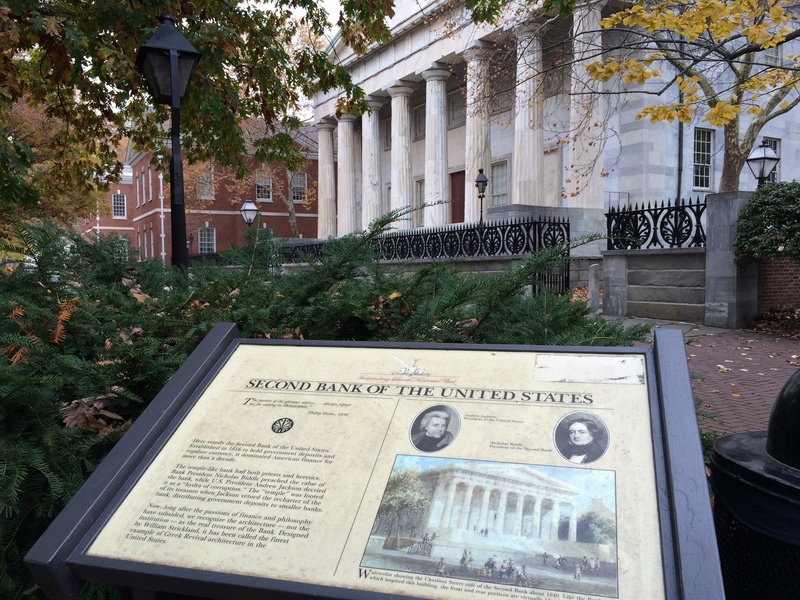 Did you know that the Assembly Room is pictured on the $2 bill? 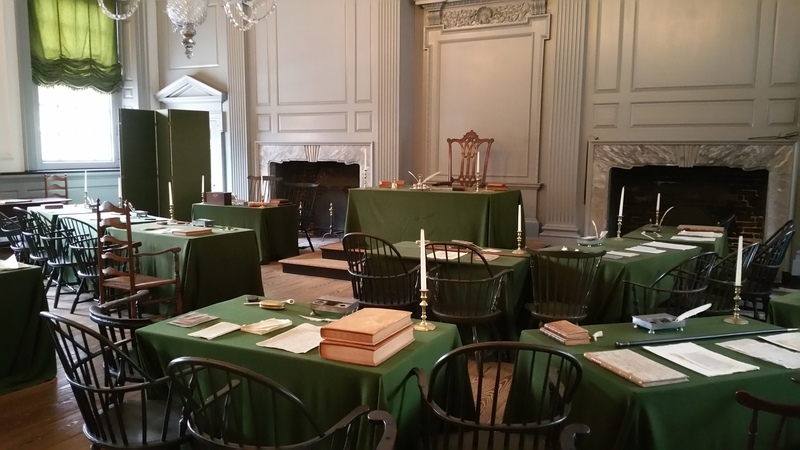 I stood in both rooms and imagined over two centuries ago our Founding Fathers debating, drafting, finalizing, and signing the doctrines of what our nation stands by today (mostly). This isn’t a movie set, I thought to myself. This is the real thing. This is the setting of U.S. history we learned about repeatedly as children and adults. A spark of eery fascination washed over me as we wandered throughout the hall. 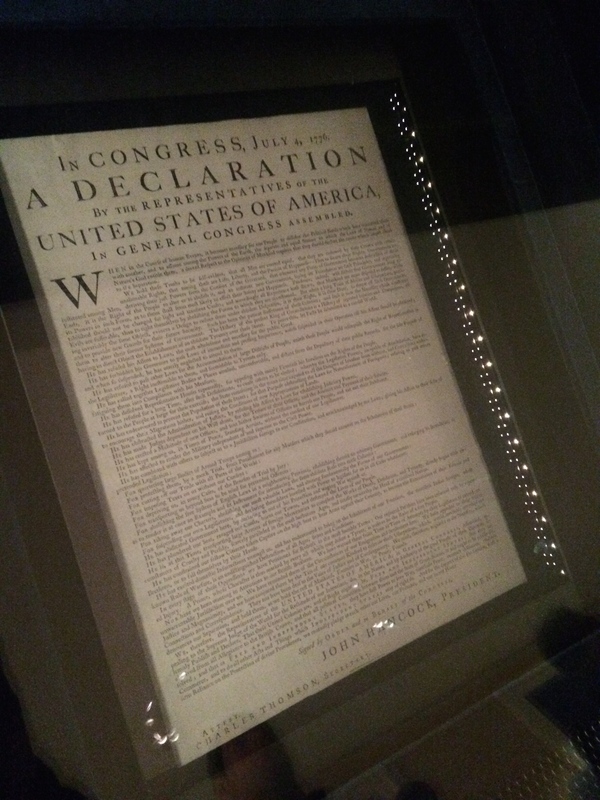 An authentic printed copy of the Declaration of Independence that was distributed to citizens at the time was also on display. 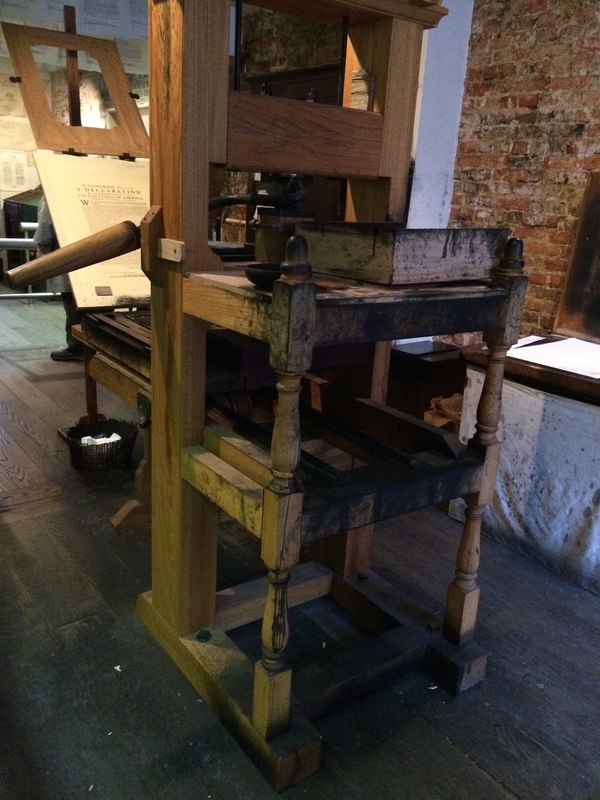 Along with the printed Declaration was an ink stand most likely used for signing the Declaration of Independence and U.S. Constitution. 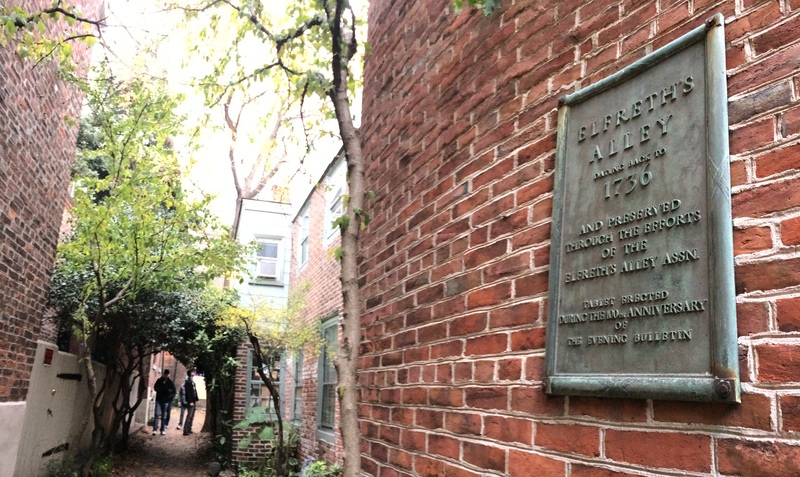 And my favorite site of them all, Elfreth’s Alley, the nation’s oldest continually occupied residential street. The charming neighborhood currently houses 32 homes built between 1728 and 1836, with several available properties going for $500k-$900k. 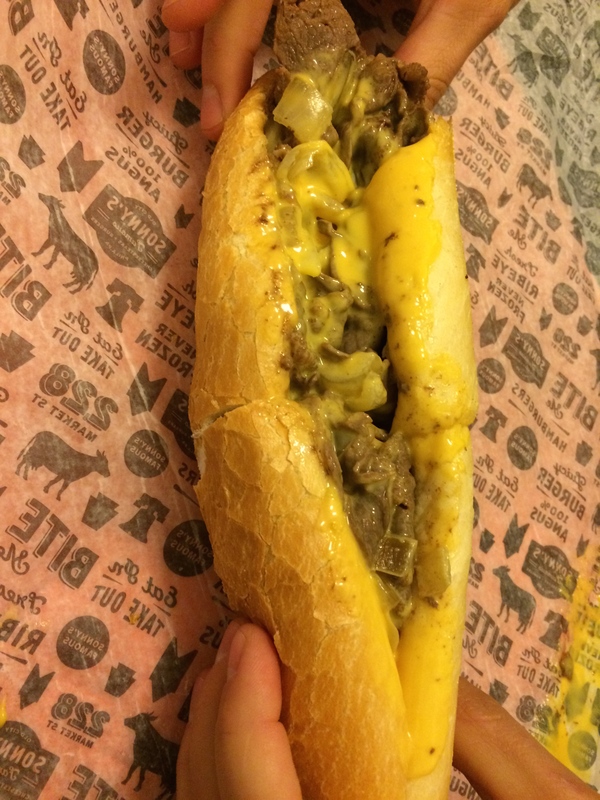 Between visits, we, of course, devoured an authentic Philly cheesesteak. Yum! 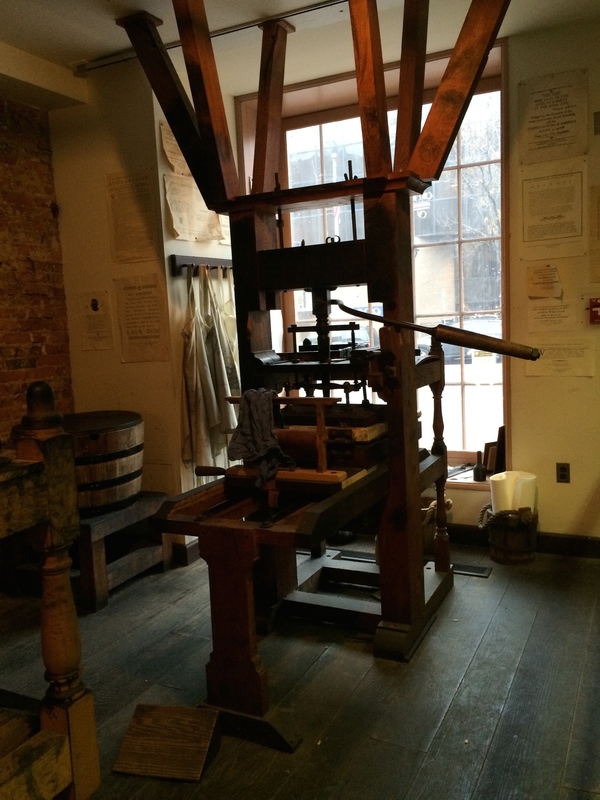 We also visited the U.S. Mint, where coins are designed, produced, and distributed. 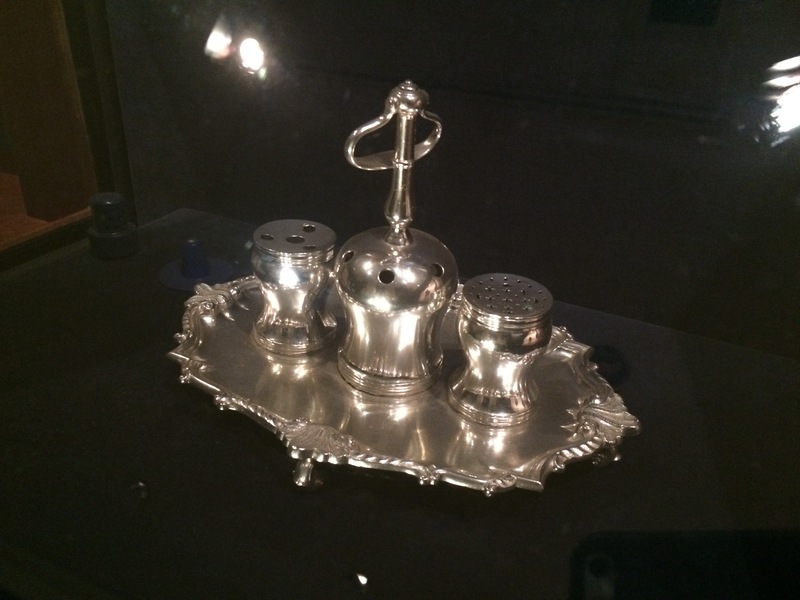 Only three U.S. Mints exist in the U.S.: San Francisco, Denver, and Philadelphia, but only the Mints in Denver and Philadelphia offer free public tours. 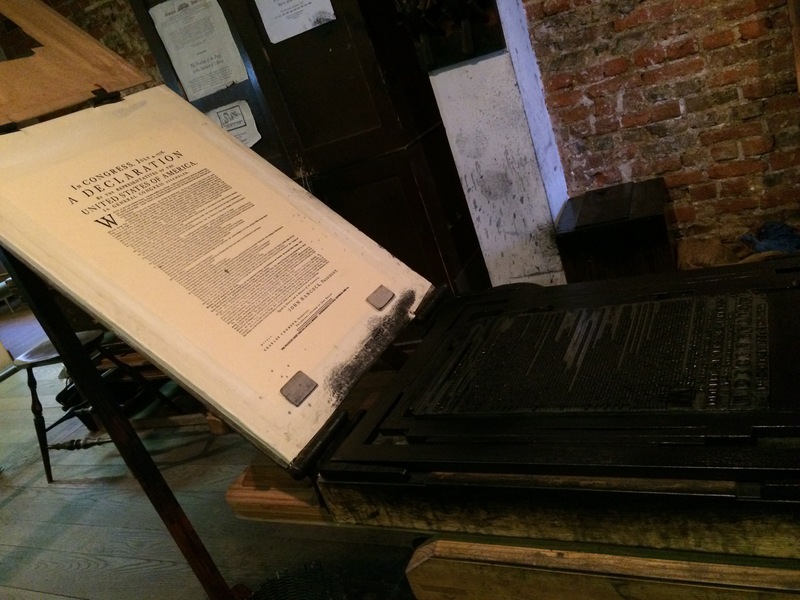 During our visit to Denver, we learned that advanced reservations were required to tour Denver’s Mint; Philadelphia’s Mint did not require reservations as it was a self-guided walking tour. 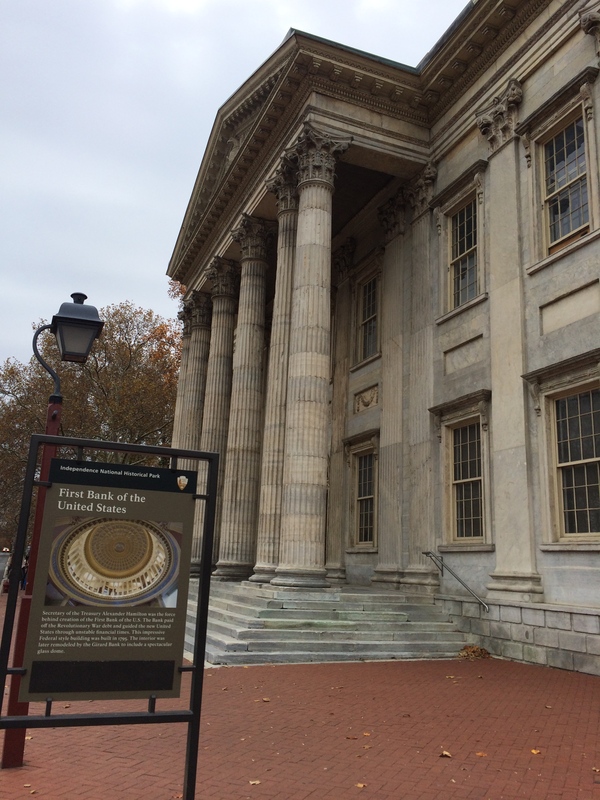 No photos from the Mint will be posted here (photography is forbidden in the U.S. Mint) but it is worth touring and is conveniently located in the historical center of Philadelphia. 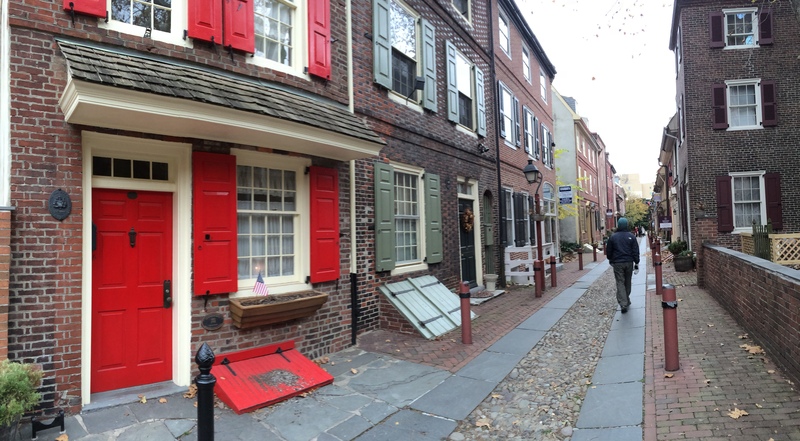 Philadelphia, where it all happened, was a great stopover after New York City, where it all currently happens. We’ve spent the majority of our childhood burning the history of our country and its leaders into our brains. Having learned it all from California and being away from it all, these moments in history were merely illustrated stories I barely glossed over in textbooks. For some odd reason, being here helped me solidify these former classroom “stories” into historical incidents. 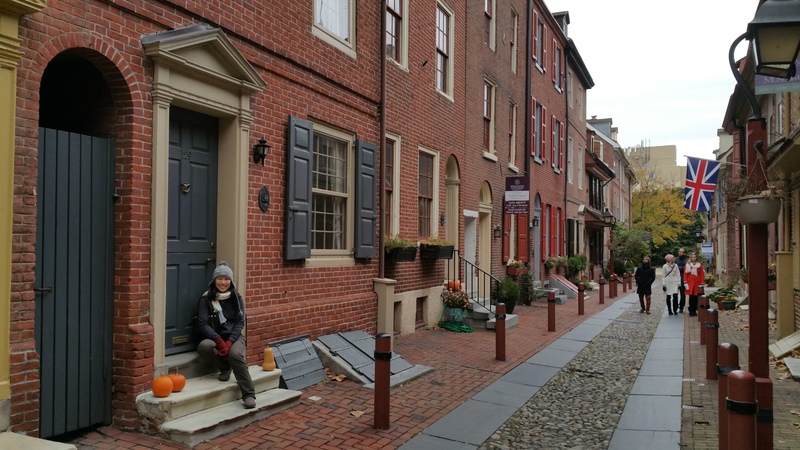 We knew we couldn’t explore our nation’s current capital of Washington, which was our next destination, without an educational visit to Philadelphia. 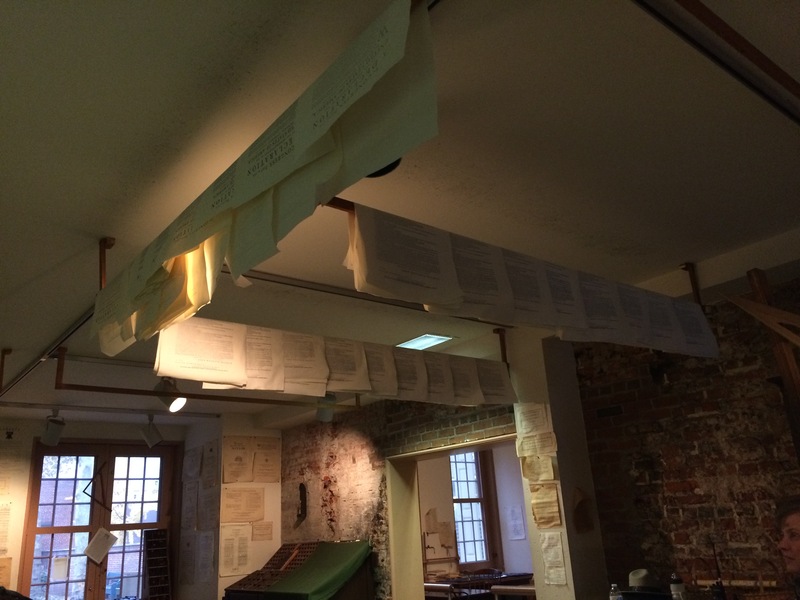 This entry was posted in Pennsylvania and tagged independence hall, philadelphia. Bookmark the permalink.